The new Motorola W233 Renew is brandished as the first certified Carbon-free cell phone that is launched in the market. The phone is creating really some vibes due to the advanced engineering. The phone is expected to get a good attention from environmentalists because of the environmental friendly tag on it. This is a simple 2G phone with no advanced features. But the attraction is the make of the phone. It is made of entirely recyclable plastic and the phone poses no threat to users of any sort of toxicity. The candy-bar designed phone has been in news because of such friendly features and some other attributes which usually such inexpensive phones don’t feature. Another interesting feature which you would notice when you take the phone on your hands is its weight 83g. The 1.6 inches large TFT screen has enough resolution to display clear wall papers. The phone is a budget edition from Motorola which is aimed for those people who cannot afford expensive phones. 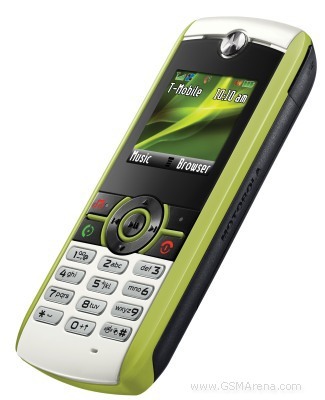 The 2G phone runs on GSM 850 / 1900 and lacks in many other features. But the company beats other contenders in the segment of such phones with card slot option, MP3 player and FM radio as means of entertainment. Generally other phones of this caliber at best provide FM radio for entertainment, but Motorola W233 Renew has proved more than that. You have options of card slot to store enough songs. Though there is no Bluetooth, but the USB port can help you connect to a PC, Laptop for loading songs, wall papers. The camera is missing in Motorola W233 Renew. The storage of the phone is quite good. It can store 750 text messages and also carry on MMS. WAP 2.0/xHTML browser makes web browsing fun and complete. Besides that Motorola W233 Renew has Java MIDP 2.0, Mp3 Player, Calender, Built in Hands free and voice memo. The battery back of 9 hours would be a positive marketing stunt. seems to be a very good phone in the budget segment. any news of India launch? That is indeed a weird looking phone. I hope it is available with black decals..